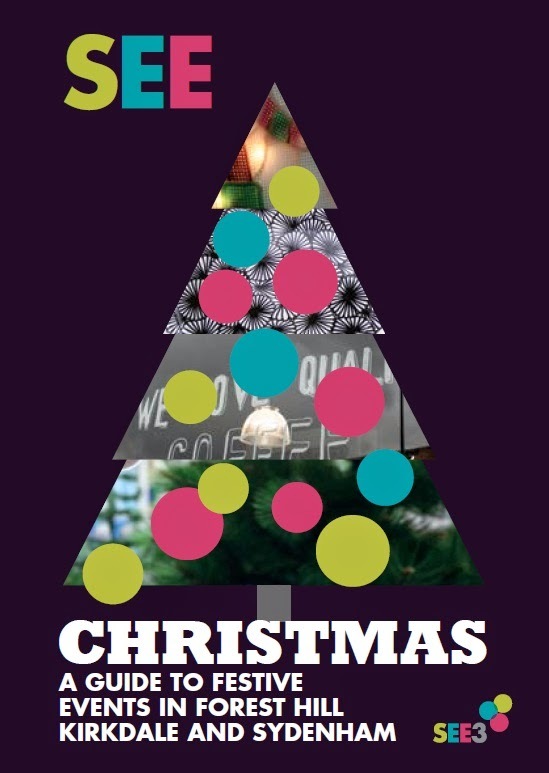 SEE3 has produced a guide to events happening in December 2014 across Forest Hill, Sydenham, and Kirkdale. There's lots of events, fairs, and opportunities to shop locally, so take a look inside. Thanks to everyone for the hard work on this...a brilliant programme and very informative. Just one question...why is the bauble on the tree so large and white and different from the rest for the sydenham fair? Because it is a SEE3 organised event.